Not to be confused with Christopher Columbus. Chris Joseph Columbus (born September 10, 1958) is an American filmmaker. Columbus is known for directing movies such as Harry Potter and the Sorcerer's Stone (2001), Harry Potter and the Chamber of Secrets (2002), Mrs. Doubtfire (1993), Home Alone (1990) and Home Alone 2: Lost in New York (1992) and for writing movies such as Gremlins (1984) and The Goonies (1985). Home Alone received a British Comedy Award for Best Comedy Film. Columbus received an Academy Award nomination for producing The Help (2011). Although he received a scholarship, he forgot to renew it, and was forced to take a factory job to pay for schooling.While on shifts he secretly worked on a 20-page screenplay, which one of his teachers would later use this to help him get an agent. Columbus would later state the experience "saved my life" noting that he was able to experience "the terrifying reality I faced of having to live and work in that factory for the rest of my life in that town, if I didn't make it". The character types preferred by Columbus are the everyday American men, women and children who struggle to uphold family traditions against a changing, sometimes intimidating society. In 1993 he said: "I can understand the validity of showing people the ugliness of the world, but I also think there is a place for movies to leave people with a sense of hope. If your film isn't going to do that, I just don't think it's worth making." Columbus created the House of Secrets book series with Ned Vizzini and co-founded a new animation studio called ZAG Animation Studios with Saban Capital Group and ZAG Entertainment. In 1982 Columbus married Monica Devereux, with whom he has four children: Eleanor, Violet, Brendan, and Isabella. Columbus lives in San Francisco's Pacific Heights. Columbus and his wife listed their Pacific Heights home for sale in September 2013 for $12.995M. His children attend or previously attended Saint Ignatius College Preparatory. He donated money to the school for a new building, and the school's "piazza" is named after him. Many of Columbus' family members —including his children, his wife, his mother, his father-in-law, and his cousin Robert Ayres— have appeared in cameo roles in his films. Particularly, his own daughter, Eleanor, portrayed the Hogwarts student Susan Bones in the first two Harry Potter films. 1 2 3 Wazir, Burhan (October 28, 2001). "Hogwarts and all". The Guardian. London. Retrieved April 28, 2010. ↑ Europa Publications (2003). The International Who's Who 2004. Routledge. p. 346. ISBN 1857432177. ↑ Janusonis, Michael (November 28, 1993). "Chris Columbus discovers a new joy in directing 'Mrs. Doubtfire'". Providence Journal. Retrieved November 5, 2009. ↑ Box Office Prophets Archived August 21, 2007, at the Wayback Machine. ↑ "Here's the Thing: Chris Columbus - WNYC". WNYC. September 16, 2013. Retrieved January 31, 2015. 1 2 3 Lipworth, Elaine. 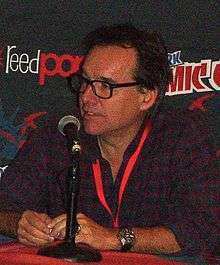 "Chris Columbus: My dad said, 'Don't do a job you hate'". Guardian. Retrieved 12 June 2016. ↑ Kellogg, Carolyn (April 18, 2013). "Chris Columbus and Ned Vizzini open up about 'House of Secrets'". Los Angeles Times. Retrieved May 3, 2013. ↑ "Rotten Tomatoes T-Meter Rating of ''Adventures in Babysitting''". Rotten Tomatoes. Retrieved February 10, 2013. ↑ "Adventures in Babysitting (1987) - IMDb". Uk.imdb.com. Retrieved October 18, 2015. ↑ "Rotten Tomatoes T-Meter Rating of ''Heartbreak Hotel''". Rotten Tomatoes. Retrieved February 10, 2013. ↑ "Heartbreak Hotel (1988) - IMDb". Uk.imdb.com. Retrieved October 18, 2015. ↑ "Rotten Tomatoes T-Meter Rating of ''Home Alone''". Rotten Tomatoes. Retrieved February 10, 2013. ↑ "Metacritic Rating of Home Alone". Metacritic. Retrieved February 10, 2013. ↑ "Home Alone (1990) - IMDb". Uk.imdb.com. Retrieved December 21, 2015. ↑ "Rotten Tomatoes T-Meter Rating of ''Only the Loneley''". Rottentomatoes.com. Retrieved February 10, 2013. ↑ "Only the Lonely (1991) - IMDb". Uk.imdb.com. Retrieved October 18, 2015. ↑ "Rotten Tomatoes T-Meter Rating of ''Home Alone 2: Lost in New York''". Rottentomatoes.com. Retrieved February 10, 2013. ↑ "Home Alone 2: Lost in New York (1992) - IMDb". Uk.imdb.com. Retrieved December 21, 2015. ↑ "Rotten Tomatoes T-Meter Rating of ''Mrs. Doubtfire''". Rottentomatoes.com. Retrieved February 10, 2013. ↑ "Metacritic Rating of Mrs. Doubtfire". Metacritic. Retrieved February 10, 2013. ↑ "Mrs. Doubtfire (1993) - IMDb". Uk.imdb.com. Retrieved October 18, 2015. ↑ "Rotten Tomatoes T-Meter Rating of ''Nine Months''". Rottentomatoes.com. Retrieved February 10, 2013. ↑ "Nine Mouths (1995) - IMDb". Uk.imdb.com. Retrieved October 18, 2015. ↑ "Rotten Tomatoes T-Meter Rating of ''Stepmom''". Rottentomatoes.com. Retrieved August 11, 2013. ↑ "Metacritic Rating of Stepmom". Metacritic. Retrieved February 10, 2013. ↑ "Stepmom (1998) - IMDb". Uk.imdb.com. Retrieved October 18, 2015. ↑ "Rotten Tomatoes T-Meter Rating of ''Bicentennial Man''". Rottentomatoes.com. Retrieved February 10, 2013. ↑ "Metacritic Rating of Bicentennial Man". Metacritic. Retrieved February 10, 2013. ↑ "Bicentennial Man (1999) - IMDb". Uk.imdb.com. Retrieved October 18, 2015. ↑ "Rotten Tomatoes T-Meter Rating of ''Harry Potter and the Sorcerer's Stone''". Rottentomatoes.com. Retrieved February 10, 2013. ↑ "Metacritic Rating of Harry Potter and the Sorcerer's Stone". Metacritic. Retrieved February 10, 2013. ↑ "Harry Potter and the Sorcerer's Stone (2001) - IMDb". Uk.imdb.com. Retrieved October 18, 2015. ↑ "Rotten Tomatoes T-Meter Rating of ''Harry Potter and the Chamber of Secrets'". Rottentomatoes.com. Retrieved February 10, 2013. ↑ "Metacritic Rating of Harry Potter and the Chamber of Secrets". Metacritic. Retrieved February 10, 2013. ↑ "Harry Potter and the Chamber of Secrets (2002) - IMDb". Uk.imdb.com. Retrieved October 18, 2015. ↑ "Rotten Tomatoes T-Meter Rating of ''Rent''". Rottentomatoes.com. Retrieved February 10, 2013. ↑ "Metacritic Rating of Rent". Metacritic. Retrieved February 10, 2013. ↑ "Rent (2005) - IMDb". Uk.imdb.com. Retrieved October 18, 2015. ↑ "Rotten Tomatoes T-Meter Rating of ''I Love You, Beth Cooper''". Rottentomatoes.com. Retrieved February 10, 2013. ↑ "Metacritic Rating of I Love You, Beth Cooper". Metacritic. Retrieved February 10, 2013. ↑ "I Love You, Beth Cooper (2009) - IMDb". Uk.imdb.com. Retrieved October 18, 2015. ↑ "Rotten Tomatoes T-Meter Rating of ''Percy Jackson & the Olympians: The Lightning Thief''". Rottentomatoes.com. Retrieved February 10, 2013. ↑ "Metacritic Rating of Percy Jackson & the Olympians: The Lightning Thief". Metacritic. Retrieved February 10, 2013. ↑ "Percy Jackson & the Olympians: The Lightning Thief (2010) - IMDb". Uk.imdb.com. Retrieved October 18, 2015. ↑ "Rotten Tomatoes T-Meter Rating of ''Pixels''". Rottentomatoes.com. Retrieved August 29, 2015. ↑ "Metacritic Rating of Pixels". Metacritic. Retrieved August 29, 2015. ↑ "Pixels (2015) - IMDb". imdb.com. Retrieved October 18, 2015. ↑ "Chris Columbus - Awards". IMDb. Retrieved February 9, 2013.